I would say I was reasonably modest even before I wore the head scarf. My parents had taught me to dress modestly enough from the beginning, and never did I sport an off shoulder top or low V neck shirt. Knee length skirts, even with tights underneath, were just not my thing. However, I would wear short sleeves and skinny jeans without a second thought. I remember during secondary school in England, of predominantly Muslim students, whenever Ramadan came around, majority of the girls would don their headscarves. I never did. I believe everyone is entitled to their opinion, and respect their decisions, however it was not for me. This is because I always knew that the day I do start wearing the Hijab in its entirety, I would never look back and take it off again. To wear a headscarf for the duration of 30 days was of course great, but the idea of then taking it off once the blessed month was over, seemed in my mind to signify reverting back to Satan’s ways. Sure, I would wear my headscarf out of respect to the mosque or funeral house, and even whilst distributing Ramadan treats to the homes of my family members. That’s about it though. The school phase passed and as maturity settled in, I grew confident in myself and happy with my body image. I loved to dress up my hair in different ways, plats and a flower accessory behind my ear was one of my favourite ways to do so. The majority of females in my life did not wear a head scarf, though the older generation of ladies (Grandmothers past the age of 65 years old) in my family did. I too had thought that once I became a frail old women, the head scarf would come automatically. The months before marriage and packing up my life in UK to move to Dubai is what kick started thoughts of becoming a Hijabi. (And no, just because I mention marriage, it was not some kind of pre-marital demand made by my husband!) It was actually attending the graduation of two of my friends. This was not a “normal” graduation though, as both of them were graduating from Madressah (Islamic School). One of them graduated as an Alimah (an Islamic scholar who goes on to teach others) and the other graduated as a Hafizah (one who knows the Quran by heart). Both are highly commendable beyond words, and when I attended their graduation ceremonies in the Masjid, I was left with tears in my eyes. Hearing my Hafizah friend recite the Quran in her beautiful voice moved me deep within like never before. My Aalimah friend held a small party gathering after her graduation, and of course I wore a scarf to be respectable towards the occasion. I watched as the girls along with others who had graduated, glided in their stunning abayas, and couldn’t stop admiring how beautiful they looked. I remember discussing with my Hafizah friend later on how I would like to wear the headscarf at one point, and how positive she was about it. Not pushy, but encouraging, which is the right way to go about it. During this period, I was also watching videos of a Muslim fashion guru who is a beauty and lifestyle Youtuber, as well as owner of her own line of headscarves and accessories. She has the most beautiful head scarf tutorials and whilst going through her videos, I stumbled upon her very old videos, one of which was her own Hijab Story. She mentioned that the turning point for her was listening to a speech which stated that every Muslim woman was a Princess of Islam. She spoke on about how regal the idea was, and of course like all royalty, princesses dressed in a certain way, covering themselves modestly so as not to be tarnished. I too wanted to be a Princess of Islam. This, along with witnessing the graduation of my friends, is what sparked curiosity about the Hijab inside me (and perhaps this was the moment of “Hidayat” – Divine Realisation). After this though, my wedding and the big move to a different country came in between. Before I knew it, I was working as a Year 1 Co-ordinator & Teacher, and in the next minute, given birth to my beautiful baby boy. How time flies! The yearning to wear a head scarf was always at the back of my mind though, I just had not plucked up the courage to do it. I knew that living in a Muslim country would make the transition much easier, but all I needed was a nudge. The nudge came in the shape of my husband, who once again reignited the curiosity within me. We spoke in great detail, and I told him that I wanted to know more about what Islam truly requires of a Muslimah in terms of HIjab. I set myself a week, in which I would do my research about Hijab, and to be honest, it was clear from the second day that it was not just a head scarf. It was a way of living. A way which did not only require to physically cover my hair and wear looser clothing, but also be reflective of that modesty and piety within my self. Though there was a lot of material to sift through online, I dug deep to find so many inspiring videos and reading material that informed me about what being a Hijabi was all about. My first thoughts were, what will I do with all the earrings that I own, since they were my favourite accessory after all, and I sure owned plenty of them! I also had reservations about my style, in still wanting to dress modestly, but channel the fashionista within me who took pride in what she wore. However, I quickly learnt that being a hijabi did not mean that I had to dress myself in drab cloaks all the time, and living in the United Arab Emirates proved that for sure! (Have you SEEN how fashionable these Emiratis are?!) At the end of the day, I knew I was going to become a Hijabi at one point in my life, it was a question of how much longer would I keep extending that deadline. My husband then said something along the lines of what Emma Watson spoke of in her Feminism speech: “If not Now, When?” That weekend, I stepped out of my home as a Hijabi, wearing a headscarf, styled with the help of Hijab Tutorials on Youtube, and I haven’t looked back since. As I had mentioned, being a Hijabi did not only mean making the physical changes in myself, but also reflecting about the kind of Muslim I am. This is definitely an ongoing process, and I can say that even though I am not the best of Muslims by a far stretch, and I am still making many mistakes along the way, I am a much better one than I was before. When did you first start wearing the Hijab? If you are a non-hijabi, have you considered it? What are your thoughts on the Hijab? Please feel free to share your thoughts in the comments section below! Thank you! Thank you Tehzeeb, very kind of you. Truly truly truly interesting and informative. This is why I love reading your posts. Thanks for sharing! That means so much to hear, thank you for taking the time to read! 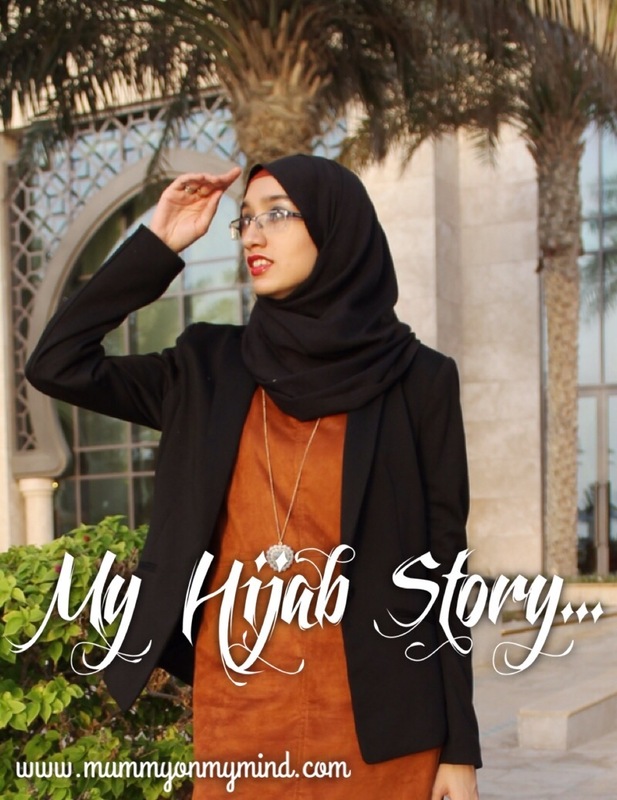 This is a beautiful story Zeyna, thank you sharing something so personal! You’re very welcome. I’m so glad you enjoyed the read, it means a lot. Very informational – cannot believe you were in two minds about this post! Thank you, yes eventhough I had reservations about it being SO long, this blog is first and foremost an online diary of my thoughts so I simply had to carry through with it. Thank you for sharing your journey – it was very inspiring to read. You’re very welcome and I’m glad you enjoyed the read! MashaAllah. Very proud of you. Allah give hidaayat to everyone. InshaAllah. In sha Allah! 😊 Thank you for reading! I am so torn between feelings on this. This is my point of view, as a non-Muslim British woman who is an atheist and in fact feels quite strongly that religion (of all kinds) is the cause of far too many problems in this world. On the one hand you obviously made your own mind up, after a lot of thought, that this is how you wanted to dress. I totally respect your decision and your right to do that. We all dress modestly to some extent, after all, I wouldn’t walk down a street naked or even in a bikini! So it’s just different ends of a spectrum. However I still have a huge problem with women thinking they need to cover up. Why do women have to and not men? And although of course you made your own mind up, actually how many women do have this choice – fully and completely? Even those like you who are not pushed into anything by family or husbands are in a way influenced by those that are around them. Will your own child feels she has a free choice because she grew up seeing you dress this way? Please don’t get me wrong I am not disagreeing with your decision. But in the world we live in today there are many conflicting issues that I want to try and better understand. Islam from what I can gather is a very diverse religion with extremes just like other religions. Nevertheless, from what I can see, women are often treated badly (in some ways appallingly). They are also treated differently from men and boys. Is the differentation between what women wear (through choice or otherwise) not just the thin end of this stick? Please take this for what it is – a genuine question coming from a need to better understand not a criticism! For starters, your first statement about religions being the cause of many problems in this world, I would say that it is in fact Culture and Human made rules and regulations, in the name of religion, that is the problem. In my opinion, Islam, the religion itself, is pure and devoid of any fault. Unfortunately, culture and mankind innovations have made it more complicated than it should be, and this is saddening to say the least. In the Quran, it clearly states in one of the Surahs, that “Let there be no compulsion in Islam.” which clearly shows the stance Islam has on forcing any part of religion on to the people. As for the topic of Hijab, I agree with many points you have raised regarding some women ARE forced into the decision of wearing a Hijab, and this by no means is fine. AT ALL. I feel truly blessed that I was able to make this decision on my own, yet many ladies in the world do not have this liberty. I myself know of many girls, living in the modern society of England, were pressured into wearing the hijab from a very young age, and after hitting puberty began to rebel by removing their scarves and going in the completely opposite direction. This has taught me to never put pressure on my own offspring in regards to Hijab or any other aspect of religion, because in most cases, it will only suffocate the child instead of liberating them. Though there are many women in the world who have been forced to wear the hijab, I think there are equally as many women, growing in number, who have made the decision to wear the hijab on their own. I think the portrayal of Hijab in the world has been made to only concentrate on the negative side of the story and it is a shame we do not hear more “success stories”. Lately, with Hijabi women modelling for high street clothing brands, it has brought about a small change, but I still think more definitely needs to be done to make Hijabi’s the “norm”, in a positive manner. Though I do not have a daughter, if she was to see me in a Hijab, I would only hope to influence her in a passive and positive manner, to inspire her towards the right direction, as with any other thing you want to instill in your child, not to push her into it, because I have seen where that can lead. I do in fact have a son, and I have began introducing prayer to him in a passive manner. He watches me pray daily and I always lay out his small prayer mat beside me if he wishes to copy me, because he has no obligation to pray until he reaches puberty. This way, I am not pressuring him into praying, but the choice is there, and more often than not, he will copy my actions beside me, albeit for a minute or thirty seconds. I hope that by making this a common practice for him, when prayer does become obligatory for him, it is a not a shock or a chore. Now to answer your main concern, why women need to cover up and why only women, not men? As for why women need to cover up to a greater extent than men, it is because men are naturally more aroused by aesthetics, where as it takes more for a women to be aroused. Of course, I understand that some women and men may be the exception, but speaking in terms of the way nature meant us to be, men in general have a greater interest in visual sexual stimuli than men (also scientifically proven and so on, not just a myth), and therefore the hijab for women aids to avoid this. However, this does not mean that all the responsibility is on the women. Absolutely not. Men do in fact have a Hijab of their own too. The physical Hijab also requires them to wear loose clothing that does not outline the shape of their bodies, though it is not to the extent of covering hair. The social hijab requires them to lower their gaze in front of women and avoid physical contact. There is a lot more to the HIjab of men too, but I am outlining what I think are the essentials. As for the differentiation between men and women in Islam, yes there absolutely is. However, it is not to show that one is better than the other in any way or form. The Husband and Wife are two halves of a circle, and by fulfilling their roles, they complete each other. Men and Women have different tasks that they excel at. In fact, the status of a woman in Islam, throughout all stages of her life, are of great importance in Islam. When she is a DAUGHTER, she opens a door of heaven for her father. (The Prophet states, “Whoever takes care of two girls until they reach adulthood – he and I will come (together) on the Day of Resurrection – and he interlaced his fingers (meaning in Paradise).” This was to abolish the act of burying baby girls during that time and ending the stigma people had of birthing daughters) When she is a WIFE, she completes half of the religion of her husband. (It means that marriage is prayer in itself) When she is a MOTHER, heaven lies under her feet. ( It means she is God’s blessing and must be given due respect) “If everyone knew the true status of a muslim women, even the men would want to be women” – Syaykh Akram Nadaw. I could go on and on with sayings from the Prophet SAW and the Holy Book itself where the status of women are so high. I am sorry for going on and on, but I hope my response has at least shed more light on the topic, if not answered your questions. Thank you again for asking the questions in the first place! Please feel free to ask more!